Get the 8GB PowerColor Red Dragon AMD Radeon RX 580 graphics card for just $200 after mail-in rebate at Newegg. The 8GB AMD Radeon RX 580 is back at a great price. Newegg has the PowerColor Red DragonRemove non-product link version of this card for $200 after a $20 mail-in rebate. That means you have to pay $220 upfront, but even by itself, that’s a good price. Besides the card, you can also get three free games via AMD. Newegg’s sale price ends on Friday. This PowerColor Red Dragon Radeon RX 580 features one DVI-D port, one HDMI port, and three DisplayPort outlets. It’s a great step-up from the 4GB RX 580 with double the memory making all the difference. As with the 4GB RX 580, you can expect a solid 60 frames per second in most AAA games at 1080p resolution with the settings cranked up. The 8GB RX 580 works well with games at 1440p resolution, and entry-level VR performance is also possible. But anyone looking for 4K gaming will need to look for a more powerful card. Until November 3, anyone who picks up an AMD RX Vega, RX 580, or RX 570 is eligible for AMD’s “Raise the game” bundle featuring Assassin’s Creed: Odyssey, Star Control: Origins, and Strange Brigade. 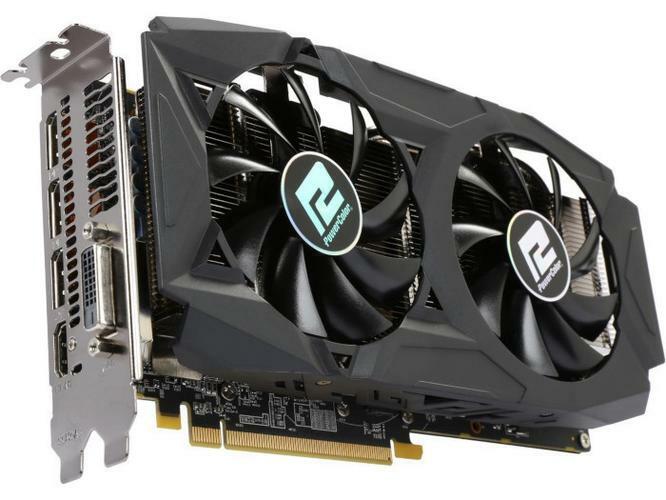 If Newegg runs out of stock, Amazon also has this PowerColor Radeon RX 580 for $220 just without the $20 back.